Total Terminals International (TTI) submitted an “Application for Harbor Development Permit or California Environmental Quality Act Determination” (Application) to the Port of Long Beach (POLB) to construct and operate the TTI Grain Export Terminal Installation Project. Aspen assisted the POLB in preparing an Environmental Impact Report (EIR) for the project. The City of Long Beach Board of Harbor Commissioners has authority over the City’s Harbor District, commonly known as the POLB. For the environmental review process, the POLB is the lead agency under the California Environmental Quality Act. 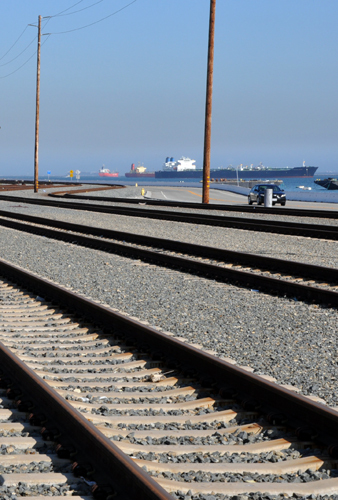 The project consists of a grain transloading facility on a vacant, ten-acre parcel on Pier T within the POLB, adjacent to the existing TTI container terminal, for the transfer of grain and dried distillers grains with solubles (DDGS), a high quality feed for cattle (no human consumption), utilizing existing rail and shipping infrastructure. Shipping vessels currently transport empty containers from Pier T and, during operation of the project, the same frequency of shipping vessels would occur, but the containers would instead transport grain and DDGS to China, improving the balance of exports through this terminal. A revised Application was subsequently submitted by TTI to reduce the proposed number of silos associated with the grain transloading facility from four to two silos. The EIR for the TTI project was developed to identify, evaluate and recommend mitigation measures for the potential environmental impacts associated with implementation of the project. The content of the EIR reflects relevant input received from government officials, agencies, nongovernmental organizations, and concerned members of the public during the EIR scoping period.